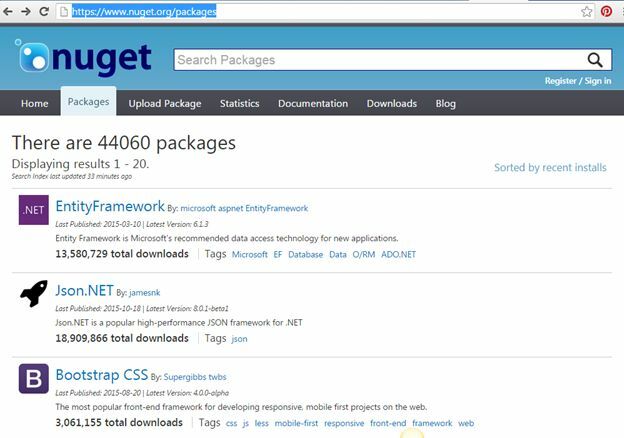 NuGet Package Manager is a tool which provides us a functionality to add the required packages into our application. For the old Visual Studio version, you cannot find the NuGet integrated with Visual Studio, so you can download and install it. 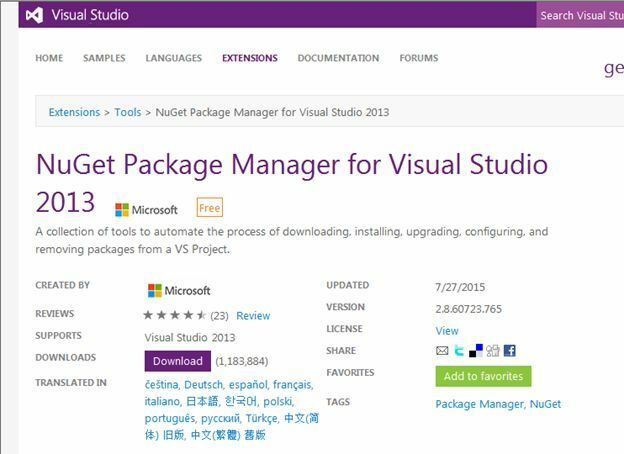 You can download NuGet Package manager for Visual Studio 2013 or lower version of visual studio from this link for downloading the package. 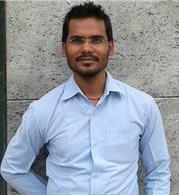 Once you download and install the package open Visual Studio 2013 and open the Package Manager Console. But I am going to show it with Visual Studio 2015. 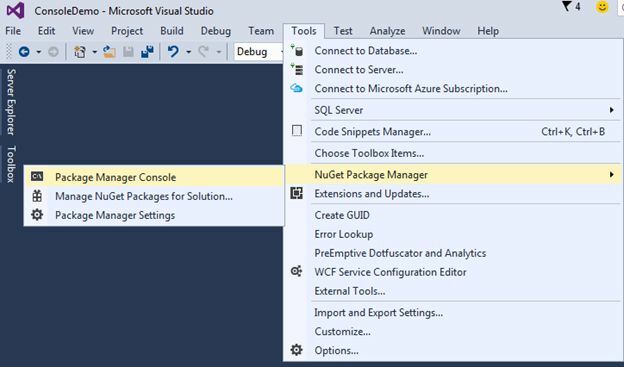 After installing the NuGet or if you are using the Visual Studio 2015, to open the Package Manager Console, click on Tools Menu and choose NuGet Package Manager and then choose Package Manager Console. Here you can write the command to install packages which is required in your application. To install it you should have a very good internet connection to download the packages from the internet. After writing this you need to press Enter, it will take some time to install required package for AjaxControlToolkit and finally you will get successfully added message inside the Package Manager Console. 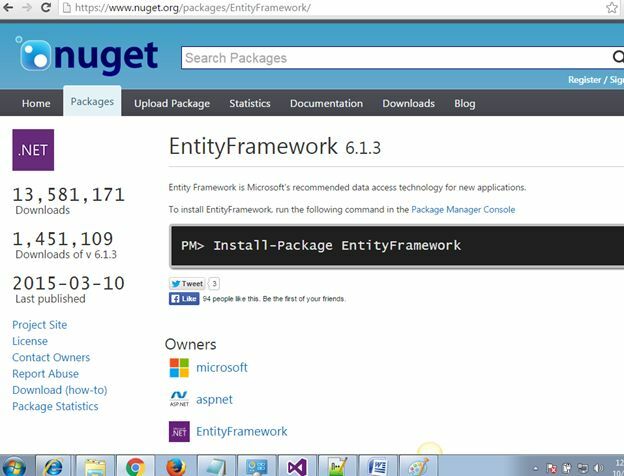 This was a simple example how to install packages through the NuGet Package Manager. When you click on first link “EntityFramework”, you will get other window with install command.